Inside Ken Todd and Kyle Richards’ Blowout Fight That Went ‘Way Too Far’ & Ended Their Friendship! 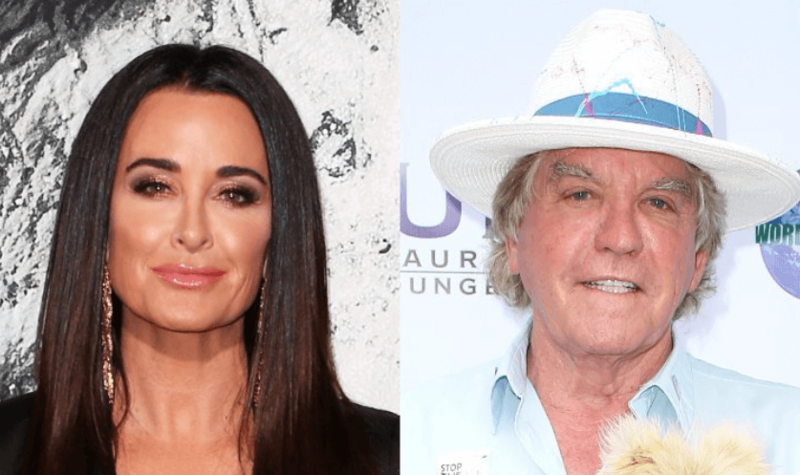 Lisa Vanderpump’s husband, Ken Todd, has cut ties with Kyle Richards after a blowout fight — and ss the Season 9 opener nears, details behind their rift are being leaked. As previously reported, Ken Todd and Kyle’s heated altercation occurred during a gathering at his home and will be featured in Season 9 of The Real Housewives of Beverly Hills. Lisa Vanderpump Responds to #RHOBH Exit Rumors — Sources Confirm Vanderpump is 100% Leaving! After the death of her only brother, Lisa Vanderpump cut ties with every member of the cast with the exception of newbie, Denise Richards and barely filmed the Bravo reality show. Lisa Vanderpump recently admitted to taking ‘antidepressants’ and went to ‘therapy’ to cope with her brother’s passing. “I’ve been accused in the past of not showing my emotions. Well, this year was very difficult for me. I struggled; I floundered; I didn’t do well after my brother passed.” Lisa Vanderpump tells Bravo’s Daily Dish. Eileen Davidson Exposes Lisa Vanderpump’s Plan to Quit ‘RHOBH’ Amid Drama With Her Costars! The Real Housewives of Beverly Hills star’s only sibling, Mark Vanderpump, passed away in April 2018, reportedly of suicide. Mark Vanderpump took his own life after struggling with a number of intense financial and personal problems, a coroner has ruled. Share your thoughts on Kyle Richards and Ken Todd’s unforgivable fight. Sound off in the comments! The drama is very real and will play out on the upcoming season of The Real Housewives of Beverly Hills — which returns February 12, 2019. Lisa Vanderpump Opens Up About Taking ‘Antidepressants’ & Receiving ‘Counseling’ Following Her Brother’s Death!